The LG Watch Urbane 2nd Edition LTE is the classic watch reinvented. Stylish and comfortable, it has a circular face and stainless steel body. Text or call from your watch using your current smartphone number. All connected to America's largest, most reliable 4G LTE network. The Watch Urbane 2nd Edition LTE is available in Black. 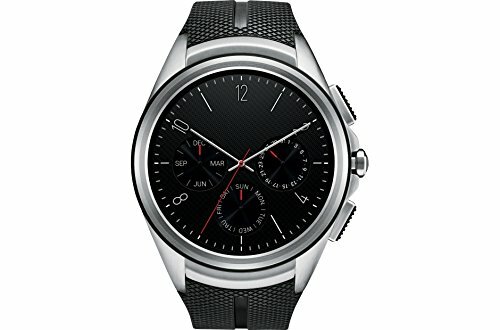 The LG Watch Urbane 2nd Edition LTE offers 4G LTE connectivity. Keeps you in touch with your smartphone calls, texts, messages and more -even when your phone isn't nearby. The Android Wear OS pairs easily with your AndroidTM smartphone. Take calls, play music, get notifications, use turn-by-turn directions, count steps, distance and activity time. This Certified Refurbished product shows limited or no wear, and includes original accessories plus a 90 day warranty.